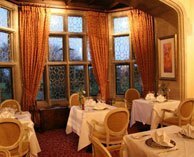 Enjoy the peaceful seclusion that is the Eastwell Manor experience. 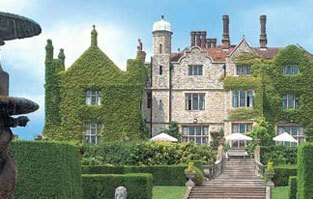 Voted Hotel of the Year by the Kent Tourism Alliance and by the South East Tourist Board, the Eastwell Manor Hotel provides quality without compromise. 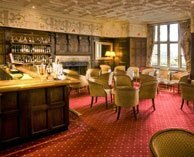 Your stay begins in the magnificent panelled reception hall which leads through to a luxurious drawing room, bar and elegant dining room all overlooking the beautifully manicured lawns and gardens set in the Garden of England. 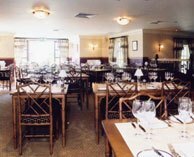 The Pavilion Restaurant and Bar provides a relaxed, sophisticated yet informal venue, offering an extensive range of French and modern English cuisine with wine from an excellent cellar. Alternatively, enjoy an exclusive dining experience in one of four private dining suites or relax with morning coffee or afternoon tea on the terrace, absorbing the views over the North Downs. Relax and unwind using the extensive spa facilities and the ‘state of the art’ gymnasium as well as the full pampering service offered in ‘Dreams’, the award winning beauty and therapy salon. A perpetual wall of water conceals the major therapy pool, rivalling leading health spas. A jacuzzi, steam room, sauna and showers completes the spacious spa area. Eastwell Manor’s leisure activities extend outdoors to include a 20 metre heated outdoor pool, an all-weather tennis court, a golf course, petanque pitches and a croquet lawn.